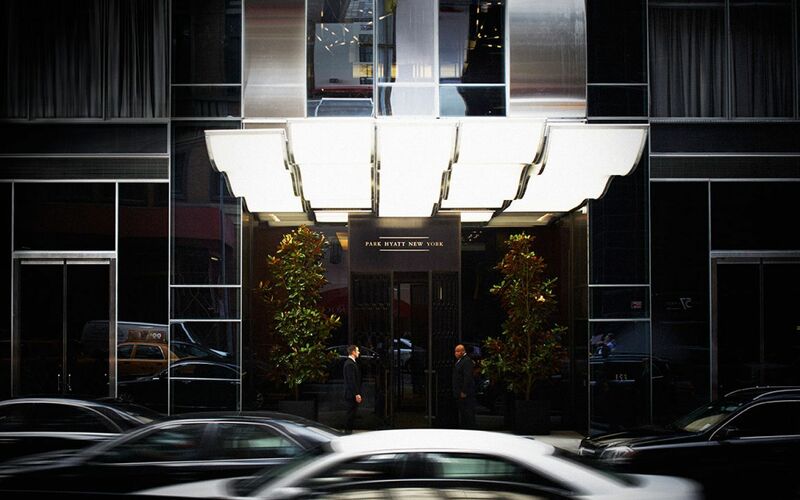 Skyscrapers are a dime a dozen in New York, yet Midtown’s 90-story One57, from the Pritzker Prize-winning architect Christian de Portzamparc, was viewed with intrigue and anticipation long before it made its arrival. 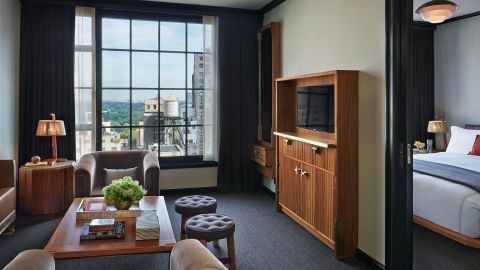 It is in this very building where the equally can’t-wait-for-it-to-open Park Hyatt New York made its debut on the first 25 floors. 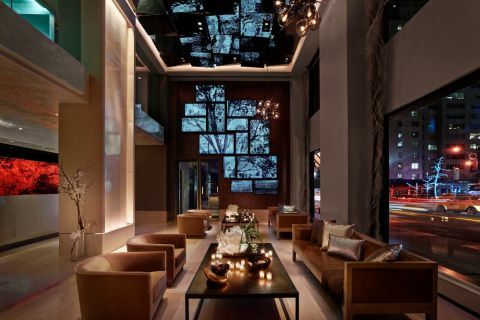 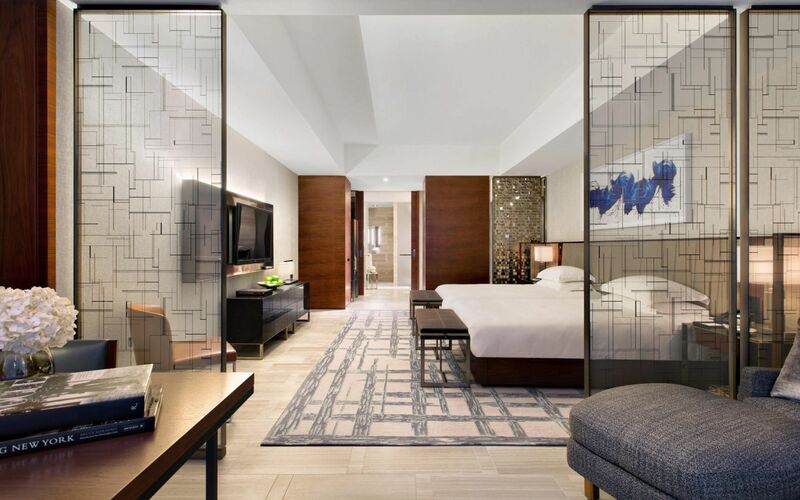 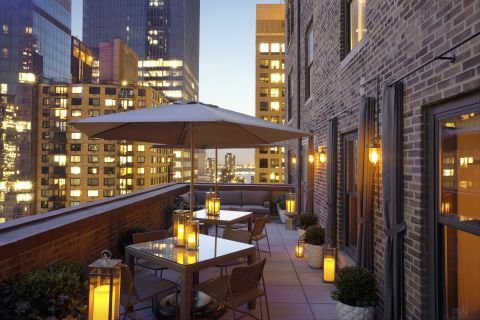 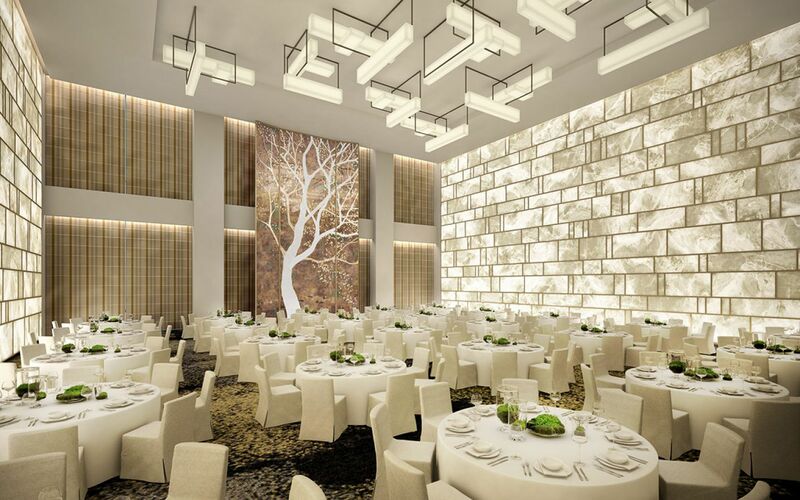 Flaunting design by New York- and Toronto-based firm Yabu Pushelberg, it has 210 guestrooms inspired by tony Upper East Side dwellings, with floor-to-ceiling windows and a neutral palette. 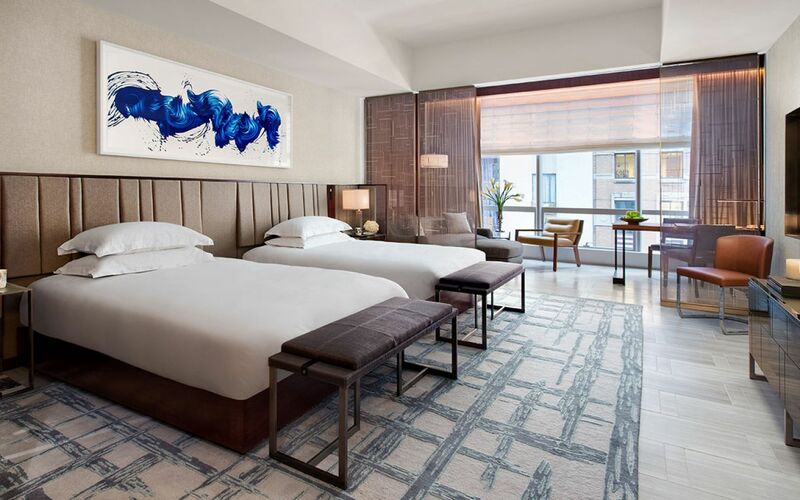 Playing on its prime location near Carnegie Hall and the Museum of Modern Art, the hotel is home to more than 350 museum-quality pieces of artwork from the likes of Ellsworth Kelly, Rob Fischer, and Robert Longo. 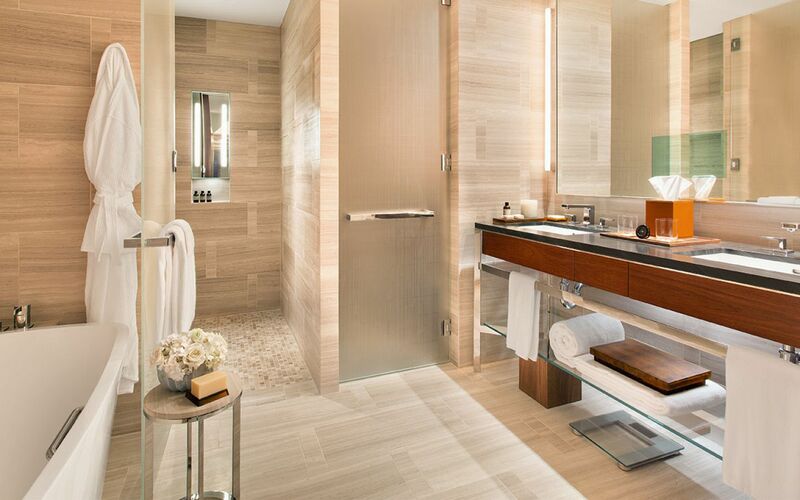 Champagne sipped in the Living Room makes for an ideal pre- or post-concert ritual, but there are reasons to linger here during the daytime, too: the three-story aerie on the 25th floor features a steam room, hydrotherapy hot tub, and indoor swimming pool. 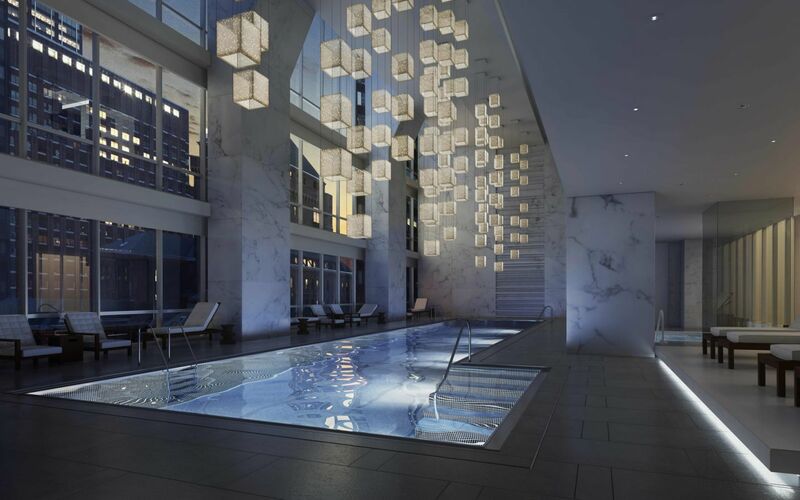 For those guests who wish to swim a few laps, a customized Carnegie Hall soundtrack streaming from underwater speakers offers a unique serenade.